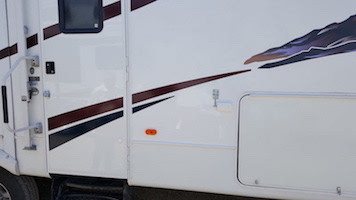 Our Cousin Gary RV Service Department is experienced & trained in all aspects of RV needs. Get your RV ready to roll! Call us today at (530) 275-6089! 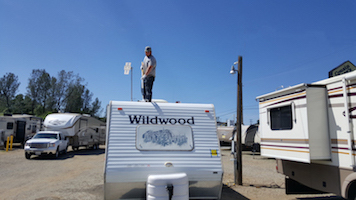 Cousin Gary’s is Redding’s one-stop shop for RV Service & RV Repair! 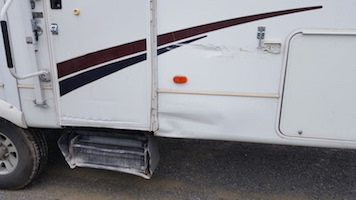 Our specialized technicians are experts on recreational vehicle repair. From the smallest wiring fixes to complete overhauls, our attention to detail and communication set us apart from the rest. 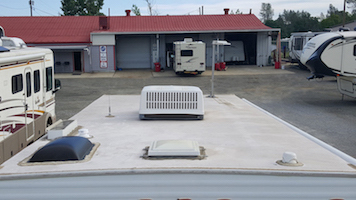 We also strive to give you a more pleasant experience than you’ll find at other RV repair centers. 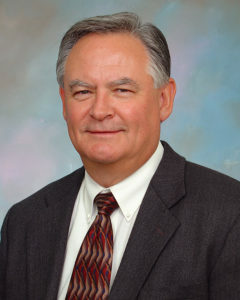 We’ll even help with RV insurance work or warranty repairs! Our experts can get you back on the road in less time, less money, and less hassle! Come on in to our Service & Repair shop to get your recreational vehicle checked out for winterization and other preventative maintenance! Cousin Gary’s Service & Repair Department has got you covered! 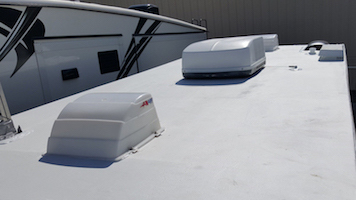 We also have warranty services for Keystone products; Cougar, Montana, Mountaineer, Passport, Raptor, Springdale, Forest River Products, Forester, Georgetown and Sunseeker. We fix it like new!!!!! Worn-out leaking roof…. we’ll tear out the dry rot and replace the bad sub-roof and rafters if needed! We’ll get on top of the job for you…. and put on a brand new rubber roof. It’s all new…. roof jacks…. vents and anything else it needs!!!!!! 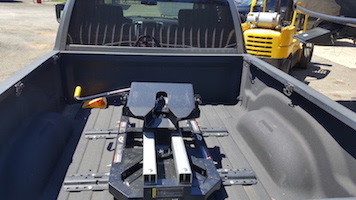 We sell and install all kinds of hitches and 5th wheel sliders like you see here. 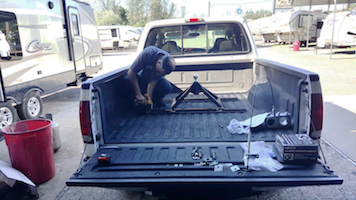 Here is one of our professionals installing the “Anderson” 5th wheel hitch…. it is really light and pops right out and you have your truck back again without breaking “your” back!!!!!! !